The Government of Canada imposes harmonized sales tax (“HST”), which is a value-added tax similar to VAT in Europe. HST is imposed in some Canadian provinces (British Columbia (12%)(BC will de-harmonize on April 1, 2013), Ontario (13%), Nova Scotia (15%), New Brunswick (13%), and Newfoundland/Labrador (13%). HST will be imposed in Prince Edward Island (14%) starting on April 1, 2013 and will be imposed in Quebec (9.975%) starting on January 1, 2013. Goods and services tax (also a value-added tax) (“GST”) is imposed in Alberta, Saskatchewan, Manitoba, Yukon Territories, the North West Territories and Nunavut at the rate of 5%; however HST is not imposed in these three Canadian provinces and three territories. The applicable rate of HST and/or GST can be changed by either the Government of Canada decreasing/increasing the GST component or a province decreasing/increasing the provincial (PVAT) component. Canada has, in part, shifted to the imposition of consumption/sales/commodity taxes as corporate income tax rates have decreased. HST/GST is imposed on most transactions in Canada involving property and services. Most businesses operating in Canada or selling into Canada are affected by the HST/GST regimes. HST/GST issues affect small businesses and large businesses alike. The amounts at issue can be significant to a business’ bottom line. 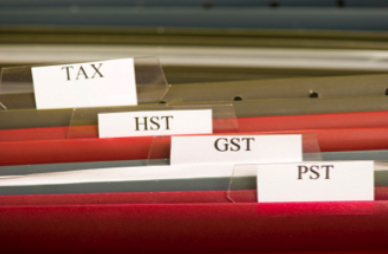 LexSage provides a full array of services in respect of HST and GST. LexSage provides legal advice on a variety of HST/GST issues that arise in connection with the structuring of business activities. The place of supply rules are increasingly important in light of the fact that the rate of HST differs from province to province. We can help you determine whether HST/GST is collectible and at what rate? We can help you legally minimize your HST/GST liabilities. We can help you when a Canada Revenue Agency auditor selects your business for an audit or issues an assessment. 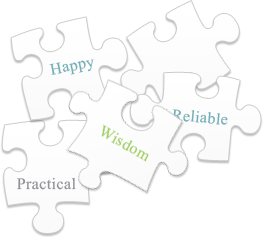 We are results oriented – what results would you like to achieve? One of LexSage’s service offerings is working with law firms and other professional service firms to invoice clients correctly for HST and/or GST. We are willing to enter into arrangements with firms to review invoices to clients. Would you like to legally minimize your tax liabilities? Are you having difficulty understanding input tax credit and restricted input tax credit rules? Are you having difficulty applying place of supply rules? Do you need to register or HST/GST purposes? Are you a non-resident setting up operations in Canada and need advice concerning compliance? Do you need an advance ruling or a technical interpretation in order to comply with the law? 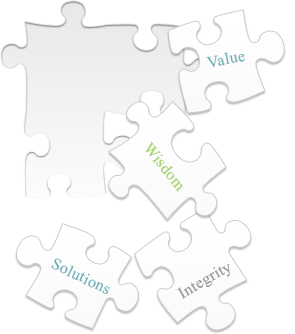 Do you require a compliance review to identify problems before an audit? Would you like to make a voluntary disclosure because you have identified a problem? Are you being audited and need assistance organizing records for the audit? Has a CRA auditor raised an issue? Has a CRA auditor asked you to sign a waiver? Has the CRA issued a demand for information? Has the CRA issued an assessment? Would you like to file a Notice of Objection and need assistance framing the arguments? Would you like to file a Notice of Appeal with the Tax Court of Canada? Has the CRA issued an assessment against a director? Has the CRA charged the corporation (or officers, directors or agents) with an offence? Is the CRA taking collection action (e.g., issued a requirement to pay, a garnishment notice, a lien, etc.)? Do you require assistance negotiating a reasonable payment arrangement? Do you require assistance filing a fairness application? Do you require assistance applying for a remission order? LexSage has extensive experience in providing sage and proactive HST/GST advice and reactive assistance in responding to CRA enforcement actions. Based on almost 20 years of experience at Canada’s top law firms, Cyndee Todgham Cherniak has helped numerous clients successfully conclude transactions and resolve disputes with the CRA. Cyndee says to other Canadian and foreign law firms – “Outsource sales tax issues to LexSage”. LexSage compliments and supplements the tax work provided by other law firms and accounting firms. Cyndee works cooperatively with a number of firms to help clients. Cyndee is a team player. Cyndee is the Chair of the Canadian Bar Association, National Sales Tax, Customs and Trade Section. She has been recognized as an up and coming commodity tax lawyer in Canada’s L’Expert directory. Cyndee has participated as a speaker in various Federate Press Conferences, including "Tax Planning for Real Estate Transactions" and “Tax Efficient Finance Structures". Cyndee is the author of the Paper "GST Basics in a Real Estate Context" delivered as part of the Ontario Bar Association's "GST Bible for Real Estate Transactions: Practice, Precedents and Developments" program. Cyndee is also the author of the Paper "GST Basics Pertaining to Real Estate Transactions" delivered as part of her Ontario Bar Association "The Fundamentals of Commercial Real Estate Law 2001" program. In 2010, Cyndee was a co-panelist on a Law Society of Upper Canada program on Harmonized Sales Tax. Cyndee is the founder of www.thehstblog.com. See Articles and Papers and Speaking Engagements for more information. Can I get GST/HST Back on Goods I Bought in Canada and Exported? pdf 343.00 kB Dec 16, 2015 Can I get GST/HST Back on Goods I Bought in Canada and Exported? Should University Students Buy New Houses? The Canada Revenue Agency Does Not Think So. pdf 443.00 kB Jan 31, 2014 Should University Students Buy New Houses? The Canada Revenue Agency Does Not Think So. Do Currency Fluctuations Impact Importers? pdf 450.00 kB Aug 25, 2015 Do Currency Fluctuations Impact Importers?